This doesn’t get easily erased because of the natural color obtained from the roses. The amount isn’t that much and the price is also not lower price. However with little bit of amount you can get the color you want. This gives the true reddish rose color to your cheek and your lip. During the summer season when you are wearing a bikini its better to just have some waterproof sunscreen with little bit of Bene tint. It would look natural without too much makeup on. 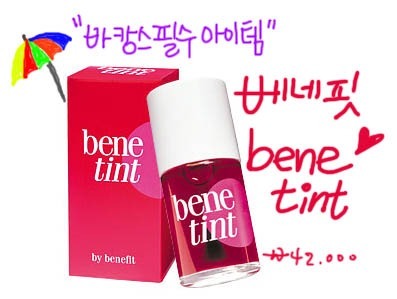 Are you trying to use Bene tint? When you don't have the cream blush don't worry. Draw line of High beam and Bene tint alternately on your cheek than blend it with your hands softly in round shape. This will make a lovely cheek with shiny effect.